These accounts of long distant tragedy read in places like the most thrilling detective novel. Even well over 100 years after the fact, the stories, drawn from survivor testimony and contemporary documentation, put the reader firmly onto an emotional roller-coaster as the facts are painstakingly pieced together and time-lines drawn. Stories of unimaginable heroism combine with family tragedy and hardship and are often compounded by the actions of mine owners and overseers. 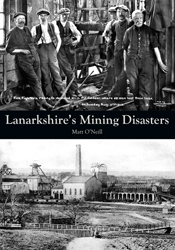 A beautifully researched and well documented book which will fascinate historians and those with mining in their family heritage. Written with an immediacy that cannot fail to appeal.